A member of the pepper family, the herb ashwagandha has an extensive history of use in ayurveda, the traditional Indian system of medicine. Human studies are lacking for this herb, but the Memorial Sloan-Kettering Cancer Center reports on animal and in vitro research that found it might protect against cancer and inflammation, treat diabetes and strengthen the immune system. This type of research, however, cannot firmly establish benefits for any condition. The lack of research in humans makes it difficult to determine a full safety profile. The herb might cause some adverse effects, and using it for periods of months or years would probably increase the likelihood of experiencing them. Before taking ashwagandha, talk to a doctor knowledgeable about herbal medicine for guidance. Animal studies found ashwagandha increased production of thyroid hormone, according to the University of Pittsburgh Medical Center. Avoid it if you have hyperthyroidism or take synthetic hormone medications to treat low thyroid function. Ashwaganda has sedating properties; taking it along with sedative drugs might increase their negative effects, such as drowsiness. Drugs.com reports that ashwaganda has a similar chemical makeup as the heart medicine digoxin, and this might negatively affect blood levels of the medication. Ashwagandha is rich in iron, according to Sloan-Kettering. While your body requires this nutrient for several important purposes, using a supplement like ashwagandha long term poses a risk of consuming too much iron, which can cause serious health problems. 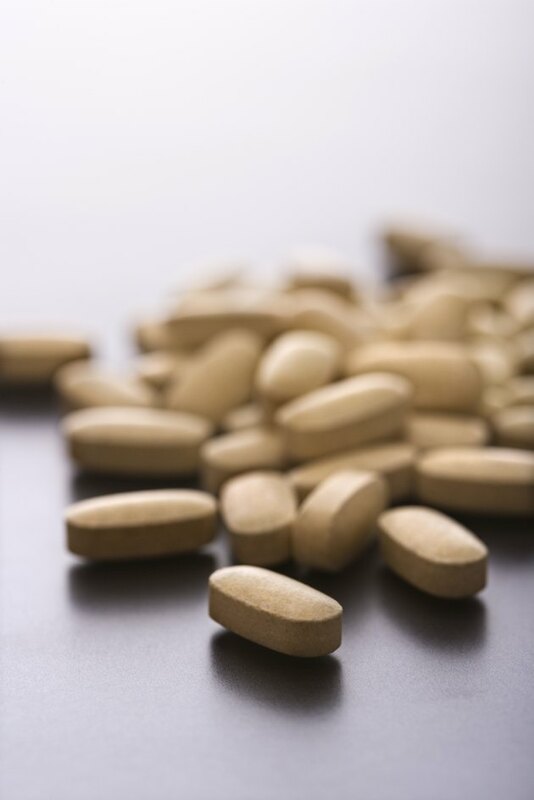 If you have liver or kidney disease, always clear the use of supplements with your doctor. Using herbs that potentially stimulate the immune system could worsen conditions resulting from overactive immune activity, like rheumatoid arthritis or lupus.